Creating website clones is certainly a popular and upcoming trend in the IT industry. Website cloning does not necessarily mean a copy-paste script of the reference site or a “me too” site. It is built with numerous enhancements and additional features and functions to the reference site. People have stepped forward and opted to create website clones of popular and in-demand websites in order to develop their own similar platform according to their custom requirements. These newly developed website clones have also received significant response from the diverse user base and generated considerable traffic on regular basis. The most popular among website clones are clones which are rapidly being regenerated or brand new website concepts which are being shaped on the web by several business entrepreneurs. Amazon, eBay, ClubPlanet, Kickstarter, Elance, Groupon, AirBNB etc. are popular websites whose clones are being regenerated by web entrepreneurs. To name a few of the most successful website clones Airizu, Wimdu, Lashou, Ushi.cn, Hudong and VKontakte are hugely successful website clones which have made a remarkable web presence and generated considerable user response on the web. Even though being a replica of the reference top rated site, these clones have been successful due to the reason being they provide customized features based on the local culture of the targeted audience and provide significant utility out of the services they offer in the newly developed website clones to a broad range of user base. Let us take a brief look at some of the more popular website clones which have been successful in making their mark on the internet. Consumers didn’t want to see another facebook when facebook either inspired or ‘borrowed’ the social networking idea from HorOrNot.com (Hor or Not), Friendster, Classmates.com and others. Facebook didn’t pioneer social networking but rather ‘cloned’ features of other successful social networking sites live and popular back then and added its own unique features to create a brand. HotOrNot.com was a significant influence on people who went on to create social media websites Facebook and YouTube. Mark Zuckerberg of Facebook got his start by creating a Hot or Not clone FaceMash where he posted photos from Harvard’s Facebook for the university’s community to rate. The name Facebook is also ‘borrowed’ from a student’s community program with similar name in Harvard. You may also like Explained: How does Groupon Work? Airizu is a popular Chinese website which provides the service to find accommodations to people seeking vacation rentals and other short-term accommodations like rooms to rent for a short period of time. If there’s one indication that a Western company is doing well, it is getting cloned in China. Airizu is a clone of the US website AirBNB which is being cloned in China for wanderlust travelers to browse housing listings ranging from couches, air mattresses, or private rooms similar to AirBNB. According to Airizu’s co-founder Adrian Li, “Since we launched the service in June, we have had over 100,000 room nights booked,” said Adrian, “Through our service, people can book over different 40,000 apartments in 70 cities in China.” Airizu provides efficient service which makes it effortless to showcase the landlord’s space to an audience of millions, and to find the right space at any price point, anywhere. Another popular AirBNB clone is Wimdu which is a European BNB and vacation rental website and a competitor of AirBNB. Wimdu was founded by Rocket Internet, a company owned by the famed German “Website Clone Developers” – Samwer brothers. Wimdu is the central platform for all types of private accommodation and unites travelers with hosts around the world. Wimdu has been launched in 11 languages and in addition to Europe is active in Asia as well as North and South America. Wimdu has only been around for about a year, but it’s already a huge business. Its success is proved by the recent news which says that it has managed to irk the latter raising a whopping $90 million round within a short span of time. After one year, Wimdu’s website boasts 50,000 properties listed, in over 100 countries, making it by far the largest social accommodation search website coming from Europe. According to Wimdu CEO Arne Bleckwenn, there’s a big chance the European start-up will eventually be even bigger than AirBNB. The site even expects revenue to exceed 100 million Euros ($132 million) for the whole of 2012. Groupon got cloned by the Samwers in 2010, and the results were expensive for the group discount website Groupon itself. In November 2008 Groupon went live in Chicago and soon became one of the fastest growing Internet businesses ever. In January 2010 the Samwers launched a knockoff Groupon clone called Citydeal. Within five months it was the top “daily deals” website in the U.K., France, Spain, Italy, Ireland, the Netherlands, Switzerland, Austria, Poland, Finland, Denmark, Sweden, and Turkey. Groupon could have fought Citydeal in the marketplace. It also could have filed an intellectual property lawsuit, though the chances of winning would have been slim. Companies can’t be patented, and trademarks apply only within the countries where they’re registered. Perhaps taking the path of least resistance, Groupon in May 2010 bought its German clone for 14 percent of Groupon’s shares. Rocket Internet now owns 6 percent of Groupon, a stake worth about $1 billion! The success of Citydeal, a Groupon clone being acquired by Groupon itself, inspired many entrepreneurs to kick start with their own line of groupon clones. Lashou.com, a competitor to Groupon in China, just raised the large sum of $110 million from venture investors. Similar localized versions of Groupon can also be created for local regions based in different countries as Groupon Clone has high potential to get instant success and very quick user base due to the attractive group buying offers and targeted audience. Another example of a popular website clone is of Ushi.cn which is China’s most popular business social networking brand. Since a beta launch in February 2010, Ushi.cn, which is in both Chinese and English, has grown to more than 200,000 registered members. In spite of being a LinkedIn Clone, it has been able to make a mark as a business networking site gaining even more popularity than LinkedIn in China. It is interesting to know the trick why Ushi.cn took off in China. Founder Dominic Penaloza, a Chinese Canadian serial entrepreneur selected 100 influential business and tech leaders as charter members and informal advisers, then relied on these contacts to invite their connections to join. That is clever, right? The site, based in Shanghai, has attracted a solid mix of investment bankers, venture capitalists, entrepreneurs, marketers, lawyers, accountants and recruiters as joiners. Last October, Penaloza raised $1.5 million for the site, which sports clone-like features from LinkedIn plus some local adaptations and innovations such as a virtual currency and a mobile check-in feature for business conference – a handy tool for finding out who else is there. Hudong, the Chinese Wikipedia, is another example of a replica that has leveraged the China opportunity. Started in 2005 by western-educated returnee Haidong Pan, the Beijing-based Wikipedia Clone site has accumulated more than 5 million entries from 3 million contributors and is in both Chinese and English. Unlike the nonprofit Wikipedia organization, Hudong is a private, money-making enterprise. Founder and CEO Pan expects Hudong to generate $20 million in revenues and $5 million in profits this year. On top of that, Hudong is on solid financial footing, having picked up funding of $30 million in 2008 by venture capitalists DCM, Draper Fisher Jurvetson and Northern Light Venture Capital. This Chinese site has features that go beyond Wikipedia. Social media is baked into the site. There’s a knowledge club for sharing info about science, groups for getting acquainted with like-minded friends and centers for exchanging copyrighted images. Similarly, vKontakte is a successful Russian social networking website which offers features similar to ‘Facebook’. VKontakte offers a striking similarity in design and functionality to its American rival Facebook, and as such has been described as a “Facebook Clone”. As of January 2012, VKontakte has over 140 million accounts and is ranked 43 in Alexa’s global Top 500 sites and is the 4th most visited website in Russia and the 3rd in Ukraine. Then there are Kickstarter Clone websites such as Indiegogo and SecondMarket.com to provide crowdfunding and fundraising platform similar to the one offered by Kickstarter. 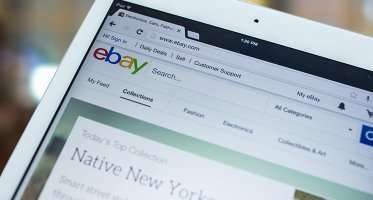 Not only that, many new eCommerce start-ups are coming up with their own customized Amazon Clone, eBay Clone, Alibaba Clone for single-vendor and multi-vendor eCommerce and online auction clones. This way, by providing custom features in addition to those already present in the popular reference site, the successful website clones offer much more utility to its users and this enables it to get a large user base within a short period of time. These Chinese, European and Russian copycat brands seem likely to have a promising future. Their launches are really only the springboard as China’s mobile and Internet markets – the world’s largest – continue to grow. With the founders’ know-how and their knack for tailoring features to the local culture, each may be able to keep the big multinational powerhouses from penetrating the wall even in the future. Neil S is a marketing enthusiast and works as a technology content writer at NCrypted. This is a really good article giving detailed info about website clones. Previously, I had questions in my mind about this field but now I think it is surely worth giving a try. Since long, I wanted to develop a job portal site similar to monster and you have just paved way to my desire for undertaking that initiative. Thanks. Nice article. I appreciate. I often surfed Wimdu but never know it was a clone until reading this article. But this certainly, speaks for website clones as an effective medium to generate web enterprise.